The best brand of them all, Patek Philippe, introduces a new automatic chronograph in a large platinum case (40.5mm, at least for PP this is large :-)), Ref. 5960P. “The movement is the new automatic caliber CH28-520 IRMQA24H with 40 jewels, a 55 hour power reserve and a flyback column-wheel, a power reserve indicator, an annual calendar, and day/night display. The rotor is 21kt gold. 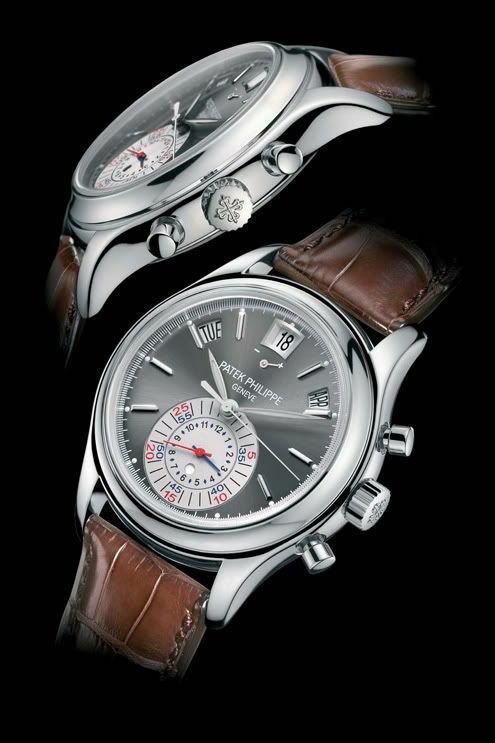 And, like all Patek Philippe mechanical movements, this new caliber has been awarded the prestigious Geneva Seal. I have no illusions of ever owning this time piece, but if I only could win the lottery once. Just once.